We have a lot to learn from Amit. Amit Bhowmick is a Queens native, an integral member of the Beatbox House, and a champion of popular routines like “Soldier,” “Wild Style,” and “Jab Jab Uppercut.” You might know him for his particular “OD bass” technique and his collaboration with the talented and eccentric violinist Luisa in a project called Viobox. 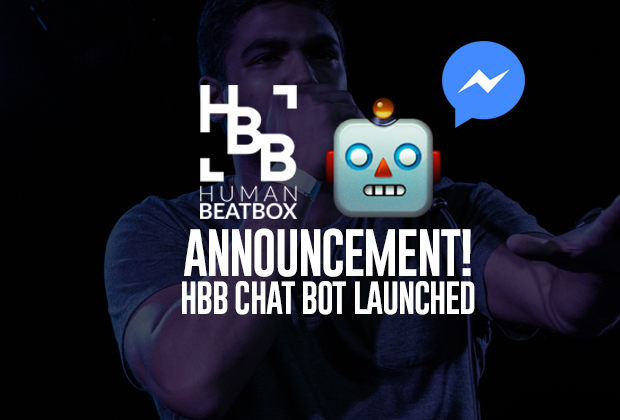 Amit currently holds the titles of East Coast, Midwest and New England beatbox champion, often finding himself in the finals of major beatbox competitions. However, Amit has stayed relatively quiet compared to other major competition winners - often and undeservedly overlooked. 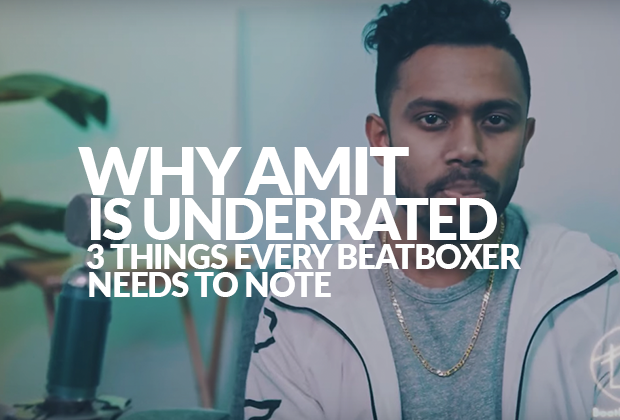 Amit champions a unique philosophy and possesses lots of incredible skills that the beatbox community can learn from. Amit is a true believer of meditation and executing in the “flow state.” In order to perform at maximum capacity, you must treat a battle with the your utmost focus. If you watch his battles, you’ll see him unfazed and looking straight-on, which can intimidate the opponent but, more importantly, shows his determination to win. Another mistake that distracted beatboxers make in battles is that they beatbox to the tempo of their opponents, meaning that their routines are passively guided by their opponents rather than actively controlled by themselves. 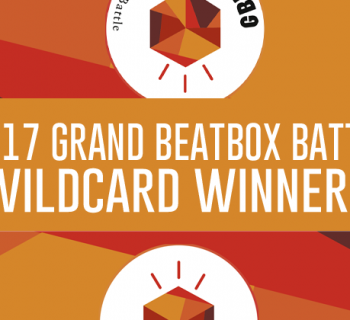 Amit’s unshakeable focus allows him to beatbox at his own tempo and influence his opponents to take it slow and be a pawn to his slow groove - throwing fast-paced beatboxers off completely. Amit’s focus contributes to the consistency of his routines - especially when it comes down to flow. Amit’s flow is unmatched due to his natural capability to maintain a steady tempo throughout an entire routine. No fill or transition is rushed. Amit isn’t scared to use silence to his advantage. 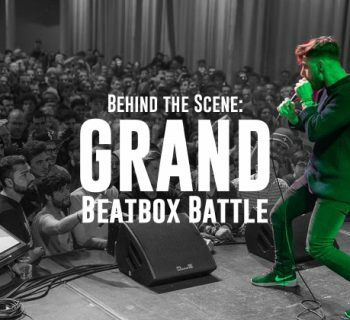 Modern day beatboxers come at beatbox battles, trying to fit in as many sounds as they can and inattentively throwing in their signature sounds while they are at it. These guys are fresh bait to Amit, because his ability to take it slow and take suspenseful breaks creates a sense of control and confidence - a stark contrast to a rushed routine. One of the greatest criticisms Amit receives is that he lacks diversity of material, hinting how battles seem to be a poor indicator of a beatboxer’s skill. Amit champions the philosophy of “quality over quantity” in great style. Amit is a perfectionist and one of the very few who understands the value of patience. He works hard, doubling down on his strengths and building his own unique routines up to the point where no more sounds can be added or removed - with each routine filled with intricate detail and deliberate placement. Most beatboxers don’t have the patience to do that, and unfortunately end up spreading themselves thin - becoming sloppy generalists. Every sound and routine Amit possesses, he executes cleanly - unblemished and immaculate. Whether it’s his focus, flow, or patience, there are so many great things we can all learn from Amit. Besides his impeccable beatbox ability, Amit is a super nice guy with great insight into what beatboxing is all about. He also posts lots of photos and great videos, so please show him some love by following him on Instagram! 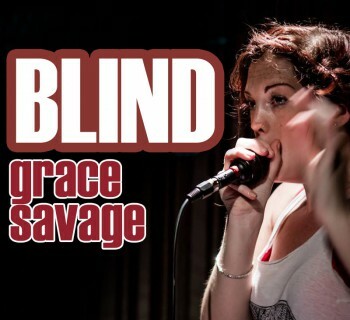 If you liked this, please share it with your friends! Let’s get the word out :). I appreciate this article Jon! Nice job outlining some of the things that make Amit a legend. 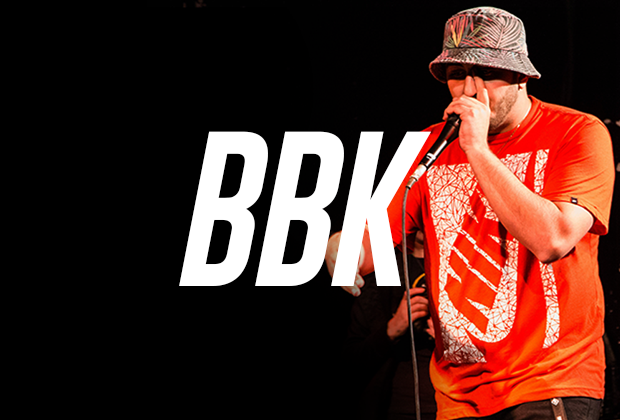 He is one of those beatboxers that brings a very unique vibe to the room when he’s on the mic. Like you alluded to, part of the unique vibe he creates comes from the impeccable and finely-tuned sounds and routines that he has perfected over the years. Seeing him live for the first time a couple years ago, and then again at the monthly shows the Beatbox House holds at LP– it continues to amaze me just how clean, flowy, and powerful his music is. Amit also uses a more hip-hop oriented style of musicality, which is relatively unique in the current state of beatboxing that exists A.R. (After Reeps). When Amit put out soldier, I got hyped to see how he incorporated some new sounds into his style. As a fellow Queens, NY guy– Amit makes me proud! I still got him on repeat! Thanks Danzino for the kind words! I love the soldier routine and his whole arsenal of routines, really – he’s gone to fine tune them into perfection. Yes go Queens!